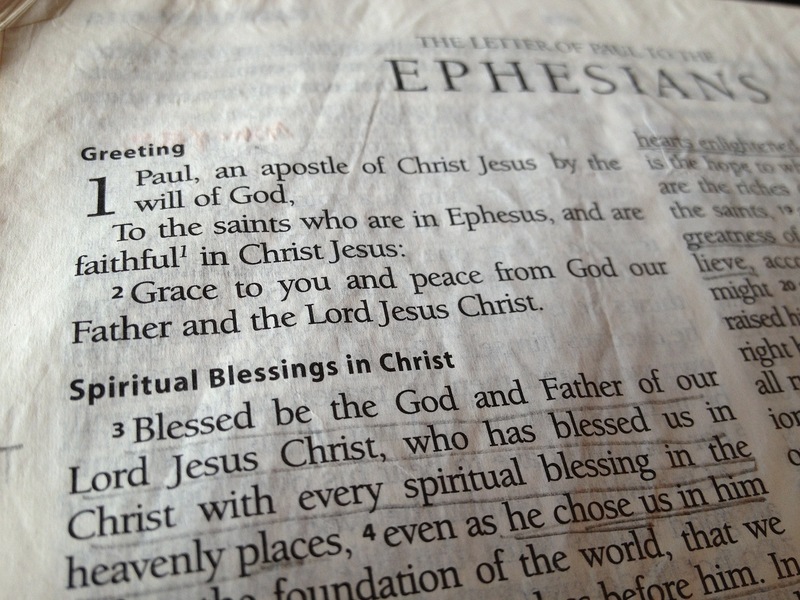 ← Baptizing Christ: Have We Really? To be blessed by God and to bless others is a beautiful thing. That’s why we pray for God’s blessing and seek to bless others even as we live by the blessing of God. We live out of the abundance of every spiritual blessing we have received in Christ, as Ephesians 1:3, seen in the picture to the left, reminds us. Blessing in the Bible refers to God’s characteristically generous and abundant giving of all good to his creatures and his continual renewal of the abundance of created life. Blessing is God’s provision for human flourishing. But it is also relational: to be blessed by God is not only to know God’s good gifts but to know God himself in his generous giving. Because it is relational the movement of blessing is a movement that goes out from God and returns to him. God’s blessing of people overflows in their blessing of others and those who experience blessing from God in turn bless God, which means that they give all that creatures really can give to God: thanksgiving and praise [p. 34]. That is as robust of a description of “blessing” in the Judeo-Christian faith as I have ever read. Don’t you just want to give God praise and thanksgiving for what you just watched? I do! This entry was posted in Faith, Justice and Mercy, Scripture, Theology. Bookmark the permalink.